Anaesthesia is extremely important to the success of an operation. The anaesthetists is the specialist who determines how much anaesthetic is sufficient for the surgery without posing a risk to the patient. Because there is no specific formula that can be applied to all patients, the anaesthetists must rely on their skill and experience to ensure each patient can comfortably undergo surgery. A patient will usually only remember their anaesthetist ’s name if there has been a problem during surgery, but in almost all cases everything progresses as planned and the anaesthetists quietly hands over the patient to recovery nurses once the operation is complete. During surgery, the anaesthetists monitors all signs of the patient’s survival and whenever there is an issue in the operating room, the anesthesiologist is always on the front line to assist patients experiencing excessive blood loss, blood-clotting disorder and body temperature changes. There is no standard that can applied to everyone. If too little anaesthetic is administered, a patient may wake up in the middle of the surgery, which can cause immediate death. If too much is given, the patient may never wake up again. When entering the operating room, surgical patients not only receive anaesthesia but other drugs and chemical compounds essential to their care. The anaesthetists is a master of combining anaesthetic with a series of other medications such as muscle relaxants, vasoconstrictors and vasodilators to ensure the surgery is as comfortable for the patient as possible. When the surgery is successful, the patient is taken out of the operating theatre and the anaesthetists continues to work in Recovery, ultimately resuscitating the patient. Acting as the patient’s guardian as they hover between life and death, Dr Henri Maries says he never gives up. Even in the bleakest of cases, Dr Maries will fight for life if there’s a glimmer of hope of success, even when the patient loses faith. “I do not believe the words of the patient when they say they want to die … Many people in times of pain and despair want to give up. 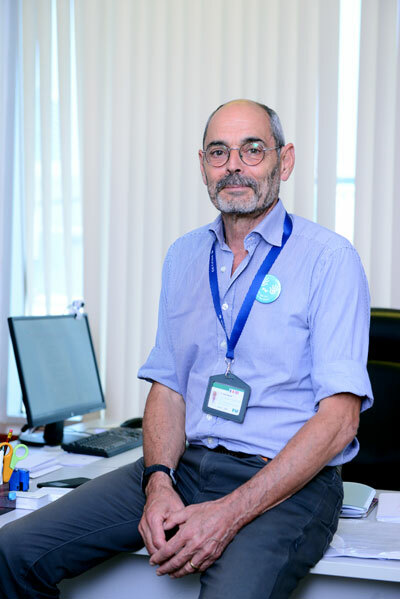 The role of the doctor at the moment is not only to bring medicine to them, but to offer support and strength until they feel hopeful again,” says Dr Maries. His tender eyes sparkling with joy, he shows me a picture of an elderly American man laughing in a sunlit garden. “Last year, this man said, ‘I want to die’, says Dr Maries. The patient has been suffering from blood cancer and was hospitalised with severe pneumonia, hydrocephalus and pulmonary effusion, and Dr Maries had had to activate the patient’s heart when it stopped beating. Since the moment he chose this profession, Dr Maries says the hardest part of his job has always been having to explain to a patient’s family that medicine cannot cure their loved one. “I was trained to be able to deal with the psychological shock of these cases, both my own and those of the family members, but even now, I still find it difficult…” he continues. Anaesthesia and resuscitationare two fields that go hand in hand. Dr Maries and his colleagues often must dedicate a considerable amount of time to resuscitation when caring for postoperative patients and serious cases. The staff working in the FVH’s Intensive Care Unit is familiar with the scene of this senior doctor returning to check patients every night, even if it is not his duty. Since FV has a tradition of working effectively as a team, interdisciplinary meetings are held in the majority of cases. As a result, a patient’s health is assessed in the most comprehensive way to devise the optimal treatment regimen. 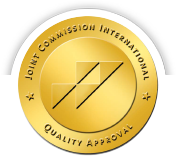 The quality of staff here is also closely monitored according to JCI’s International Standards. I am very happy about that because we always work as a team and the quality of care I offer is optimised when my colleagues are also highly skilled and experienced in offering quality care. Dr Maries gives an example when he proposed regional anaesthesia though an ultrasound scan for postoperative pain relief, which immediately received support from the Board. Less than a year later, regional anaesthesia though ultrasound scan was introduced at FV, contributing to the improvement of care and resulting quality of life for FV patients. Most anaesthetists choose to enter this discipline because they have an interest in meticulous science and the formulas governing the administration of medication, but the anesthesiologist not only supports patients when they are on the operating table but also in their toughest moments contemplating death. Dr Maries says that a patient’s recovery brings an anaesthesiologist great joy; a smile is the only reward an anaesthesiologist needs for all the difficulties they might face when fighting for a patient’s life.